I don’t know about others but when I think about ‘Amore’ reminds me of my mom’s product. So I didn’t really give my attention. However my mom is a manic in using Sulwhasoo cosmetics and she got this as a gift so she was using this and recommending to me. I didn’t really listen to her and said it works for your skin only. But I heard some information in the makeup shops and this works really well for dry puling effect on the face. I thought makeup artists use only exported cosmetics but also use Amore. I have a toner that I am using for ages so I use my mom’s toner sometimes. For the person who uses toner and want to have moisturizing effect is well recommend using this product. My face doesn’t have pulling feeling after a wash but for the people who feels dry and have pulling effect use this product. 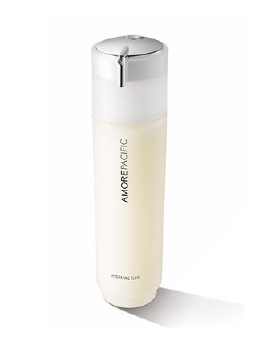 Especially when the makeup doesn’t apply well, use this tonner at the last step on skin care. Put enough amount of the tonner on the facial cotton and wipe your face. You can clearly see the moisturizing effect. Even though you have using skin care cosmetics try using with it. This is made in Korea but the price is too expensive. I was really surprised and I looked at it. Did I too much disregard Amore cosmetics?? One more thing from Amore pacific is the Skin energy mist~!!!! so I don't use mist. However when you are using the mist, I recommend using Amore Pacific. Of course this was advise from my friends. It helps the makeup to settle down. Many models use this and from that my friends hard about it so trying out aren’t too bad.